Guangdong police have shut down more than 649,000 telephone numbers across the province that were suspected of being used for telephone fraud and other crimes, after a center to fight telefraud was established in September 2016, according to a statement released by the Guangdong Public Security Department. "Meanwhile, police have retrieved more than 1.73 billion yuan ($254 million) that had been taken by fraudsters. 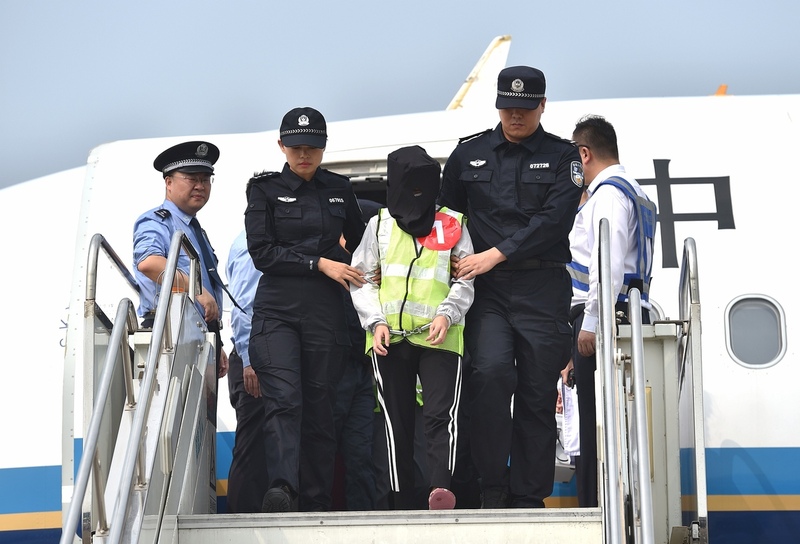 Of the total, about 210 million yuan and $2 million have been returned to the victims," the statement said. In the first nine months alone, police across the province detained 8,370 suspected telephone fraudsters after cracking more than 16,000 cases, the statement said. The center launched 18 special campaigns targeting telefraud and other online crimes between January and September, dealing a heavy blow to operations once active in the southern province, it said. An officer from Guangdong said the police will not relax their vigilance in the months to come, and the province will continue to see a high incidence of cases. Such crimes still threaten social stability and the safety of residents' properties, he said. He urged residents not to transfer any money to bank accounts provided by people they do not know. "People should further improve their awareness to guard against being taken in by scams, as well as actively tip off police to any clues involving telephone fraud and online crimes," said the officer, who asked not to be named. "Fraudsters are seizing every opportunity to con their victims." He said that more new measures will be introduced－technology and equipment including big data, cloud computing and artificial intelligence－to help combat online and telephone fraud in the coming months, because the fraudsters are upgrading their methods to target victims. "More campaigns will be launched in cooperation with other departments and companies, including banks, internet operators and telecommunication companies, to focus on fighting the crimes," he said. Fang Zhuoming, an office worker in Guangzhou's Yuexiu district, said telefraud is active in the province and police should spare no effort and introduce even more concrete and effective measures to fight it. "Many of my friends and colleagues are reported to have been defrauded, or have been targets of telephone fraud in the past months," she said.